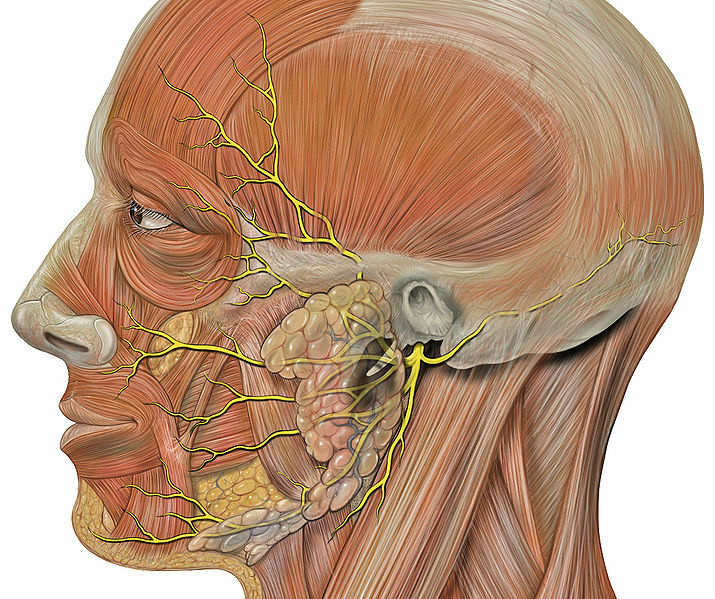 Greater petrosal nerve - provides parasympathetic innervation to lacrimal gland, sphenoid sinus, frontal sinus, maxillary sinus, ethmoid sinus, nasal cavity, as well as special sensory taste fibers to the palate via the Vidian nerve. Chorda tympani - provides parasympathetic innervation to submandibular gland and sublingual gland and special sensory taste fibers for the anterior 2/3 of the tongue. Each blink spreads the tear film over the ocular surface and allows for a continuous layer of moisture. Lagophthalmos: Patients with lagophthalmos have an inability to close eyelids. This could occur, for instance, in patients with Thyroid eye disease. Visit the lagophthalmos page for more details. Copyright © 1997-2019 EyePlastics.com. All rights reserved.